WoW Patch 6.2 brought us a new valuable item, the Felblight. It's used to upgrade equipment, just like Savage Blood. It can be farmed a lot easier though and sells for a decent amount of gold in the auction house. What is the most efficient way to farm Felblight? Time to level up alts! Felblight can only be obtained while in Tanaan Jungle, and you can get it by killing bosses, rares, regular mobs or by using gathering professions. This is my favourite, without a doubt. 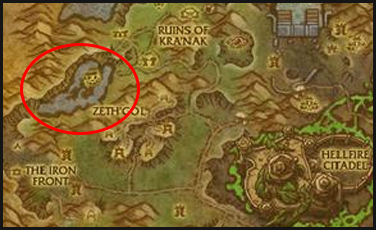 Simply look for a group for the new world boss, Kazzak and participate in the kill. He's very easy and fast, and drops up to 15 x Felblight. Currently it sells for 300-600 on most realms and sells almost instantly, so if we assume you get 15 and they sell for 400 gold, that's an easy 6000 wow gold. What makes this even better is that you can do this on all your level 100 toons and every week when the loot lockout resets. 6000 x 10? Oh yeah! Not a long time ago you could have done this with even lower level characters, but it was nerfed. This is not a very effective way of of farming Felblights, as you could end up killing a thousand and get only one. Rare mobs do have a higher chance to drop them, but it's still extremely low. Rares are abundant and drop other cool stuff too, though. Fishing is a good way for some people to get Felblight, provided you find lots of Fish Schools and get lucky, as the drop rate is only about 3-6%, like with all gathering professions. You also get a boatload of fish that you can sell. Fish from these schools usually sell for only one gold, though. So if you're on a PVP realm and prefer to half afk, and don't want to worry about being stabbed in the back while you're wielding a fishing pole, this is one of those places. A very secluded cave, filled with monsters and fish! If you want to find a lot more Felmouth Schools, you should perhaps head over to Ruins of Kra'nak instead. Very remote location, as well, but has Bonus Objectives, so it's not a secluded spot. A smooth fishing route with lots of Felmouth Schools! Protip: You don't need a fishing pole to fish from schools with a 100% chance, provided your fishing skill is sufficient. All nodes in the jungle has a chance of giving a Felblight when mined. I have had a very long pause from wow, so majority of my toons aren't level 100 yet, including my Miner, so I haven't yet researched the best farming route. But will update this post if I can be arsed to level my miner up. Unlikely, though! All flowers also will have a chance of dropping a Felblight when harvested. My herbalist is also not level 100 yet, so I haven't tried how effective herbalism will be, or what the best route is. The drop rate for Felblight from skinning was nerfed significantly, but you can still usually get one Felblight every 10-20 skinnings. Came here looking specifically for this information. Short but to the point. Thank you, I'm glad this website is being updated again! Yeah more like 1k 15min if youre lucky. This post is from 7/6/15 so the estimated amounts are outdated now. 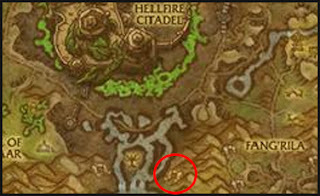 They are much smaller these days, but may again increase when people move onto Legion and have sold all their blights. Awesome blog! I wanted to chime on this specific post though. Someone can still make "6,000g" if you fly around with a character who has Herbalism and Mining. There many spawns of herbs and ore spread across TJ, which with the increase in Felblight from the nerf they previously did, it drops a lot in the time it takes me to make two passes. I can't give a rough number, but here's a guess: 5-10 with two passes usually (or more maybe). Plus you get a lot of herbs, ore, and chances at two top tier battle pets. I only suggest that upon doing this you have the Garrison (Stables) at level 3, well as using someone with a speed boost (e.g. DK, Paladin, Hunter), be in a guild and/or have the TJ speed boost. Not sure which stacks with what, but the faster the better! Keep up the great work with the blog. I'll be adding it to my favorites, and maybe send you a personal message with some additional gold information, Kuja. These are consistently only 50G on our realm, please check you figures before promising people the moon, I also see other comments from other realms with similar reports. The truth is there is no magic way to make a fortune you need to examine the resources on your own relm, and then farm according to what you can find verses how much time you are willing to spend. It seems the resources that are farther away from portal points seem to be a good start. I would imagine so, yes! Prices do change dramatically in a year.